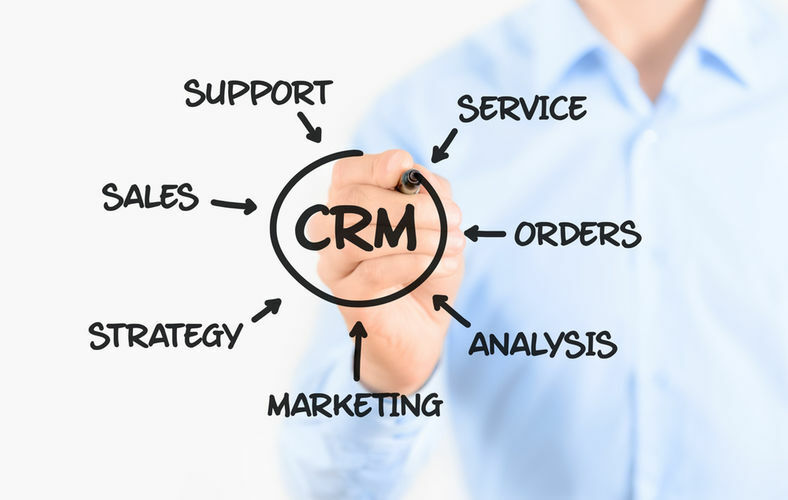 Complete CRM system for your Business! Designed to make your Sales and Marketing process easy, traceable & effecient. It helps you track all your customer interactions (Needs, Responses & Issues ). Zeki CRM is designed to effectively track and manage prospect Clients, boost communication, organise and help throughout the entire Sales and Support life cycle. Zeki CRM is designed with a Client centric approach which lets your sales team track all the information and communication activities linked to contacts from a centralized platform. Lead Module helps you track and manage prospective customers and create new potential clientele. You can assign you Leads status as Hot/Warm/Cold and focus on live prospects. Get a clear understanding of your sales pipeline and get a real-time overview of where all your Opportunities are aligned within your sales stages. Analyse your campaign data and evaluate the outcome based on Leads vs Potential vs Sales order generated. You can check the effectiveness of the Campaign by comparing Cost VS Sales data and get a better understanding of what activity does actually boost your sale. Maintain all the documents (Brochures, Agreements, Contracts, Pricing, etc) sent to your Clients or regarding Produts / Services with version control on a centralised location. Share the documents to have transparency within the team. Use our Android based CRM application from you smart phones. Help Sales team get and update all CRM information right on their phone. Convert your Quotations to Sales Order on closing of a Sales deal. Our Calendar view gives you an overview of all your Task and Activities, giving you information on upcoming Calls, Meeting and Todo's in your daily calendar and get constant reminders and updates. Our folloup module helps you log and manage all your Calls, Meetings, and Activities and tag them to Client/Potential/Lead to get a full understanding of communication with the client. Our Support Ticketing module is designed to easily take customer support request and help you manage, maintain & resolve issues reported. CRM Wall lets you Monitor New & Updated, Business & Sales Opportunities. You can Collobrate with your Sales team and get feedbacks and updates. Our Cloud based application lets you access your CRM system from your any place with internet access. Want to Know More about ZEKI CRM ? Do you want to customize Zeki CRM to suit your business need or Do you need us to give you a personal Demo? Zeki CRM is our cloud based sales force & help desk system that helps you centralize all your data sources and provides an atomistic real time vision of your Customer information. It provides a well defined platform for all business units to interact with their clients and fulfil all their needs and demands very effectively and to build long-term relationship. Our system will not only help you to deal with the existing customers but also in acquiring new customers. The process starts with identifying a customer and maintaining all the corresponding details into the system like Customer Details, Services/Product Interest, Quotes, Sales Order, Calls, Meetings, and Support Requests. The support of Zeki CRM Team has been spot-on, they have always answered our CRM questions quickly and resolved any issues very professionally. A good service provider must understand both the technology and how the customer's business works and Zeki CRM team has consistently demonstrated this. Zeki CRM is an amazing CRM & marketing automation system for small businesses. It's packed with advanced features, an easy to use interface, and many more fantastic features. We have been impressed with how reliable and easy Zeki CRM is to use, from setting up complex campaigns to the comprehensive and accurate reporting available. Day-to-day this saves us a considerable amount of time and has allowed us to think more strategically about other activities.